Spread chocolate hazelnut on one side of a cracker. 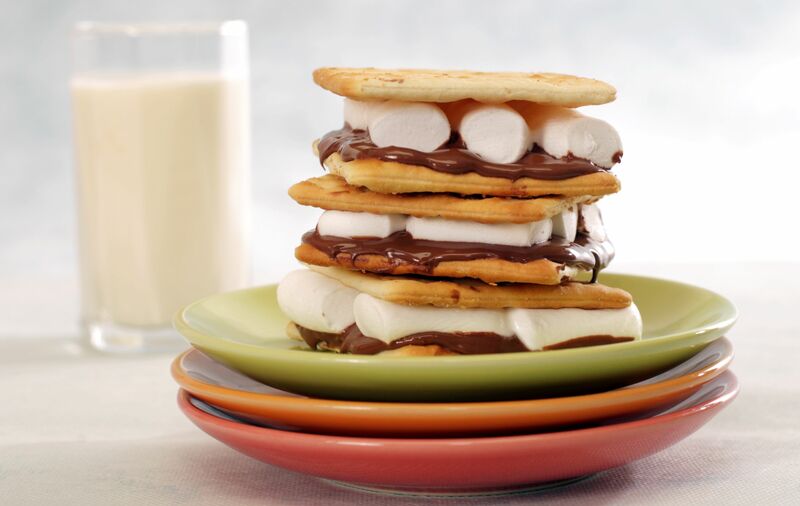 Then arrange the marshmallows on top of the cracker (with the spread). Heat in microwave for about 15-20 seconds or until marshamallows are slightly melted. Put the other cracker on top of the melted marshmallows and press it down. Now, this deliciously gooey snack is ready to be eaten.